...this was me. 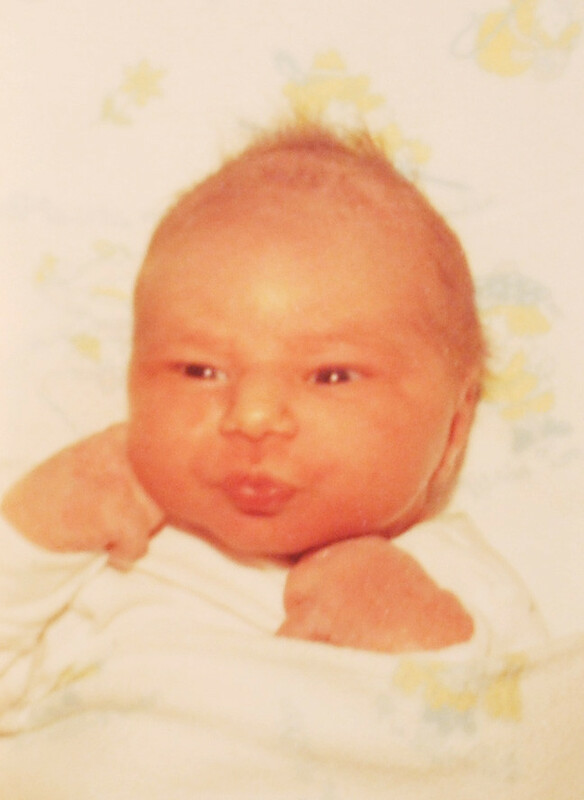 I've never been proud of this photo, but despite my scrunched-up, red-faced, sour look, my parents loved me. Happy Birthday from your Daddy! As I told the doctor so many years ago- "I don't care if she is green with purple polka dots- that baby is ours!" I am so proud of you, love your weird humor, and appreciate your special heart. What more could a Dad want in a daughter! I am not sure if we are around the same age, but your baby photo looks alot like mine. Happy belated birthday!